Listen to some of the powerful forerunners and early versions of songs from the movie. ​All original demos by Opetaia Foa'i. I really wanted the ancestors to be acknowledged in the movie and so I was thrilled when the Directors, John Musker and Ron Clements were pushing, urging me to come up with music for that magical scene where Moana, surrounded by her ancestors, finally understood who she was and that what she needed was with her all along. An early demo for this part of the story was “Iei Ki Na” which means ‘ it’s all there with you’. I described the scene and the emotion that I wanted to my daughter, Olivia, and she came up with the perfect emotion that I was after. The Directors were were looking for a piece for the finale which is “Know Who You Are” or ‘ke iloa ko ai koe‘, and this piece was seriously considered but gave way to the ‘An Innocent Warrior' melody for the end. John Lassetter asked for me to write a piece to go with the Disney castle logo at the beginning of the movie, and that’s when I wrote “Tulou Tagaloa”. 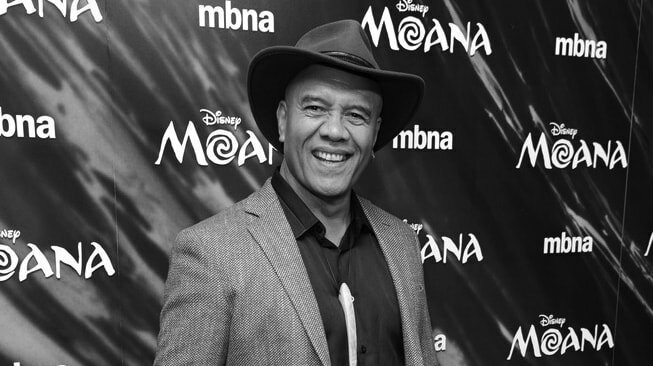 Later on, the directors were playing around with an idea which involved Moana finding the ‘heart of te fiti’, and as they liked ‘Tulou Tagaloa’, they asked me to write an extended piece for it. This piece is the ocean telling Moana, in a nurturing sympathetic tone, of the task that awaits her. ​And once again, Olivia adds her magic touch to it. 'Ko Te Moana' means 'The Ocean'. I wrote this at a time when we were trying to figure out the relationship between Moana and the Ocean.. At that time, the directors had the concept of the intro scene showing Moana being born in the sea. The piece is written from the ocean’s point of view, singing to Moana, and the idea was to have the whole village join in later to create this spiritual, respectful kind of welcome ceremony, a celebration of her arrival. It was a fun scene at the time. ​The directors John and Ron wanted a musical piece for each time Maui appeared, so after a while when you hear it, you know Maui is around. I explained the concept and what i wanted to my son, Matatia, and he casually set up the log and skin drums and played this very cool groove. It was exactly what i was after, it describes Maui to a tee: powerful, super confident etc.. If you listen carefully you’ll notice it is used in various places in the soundtrack.